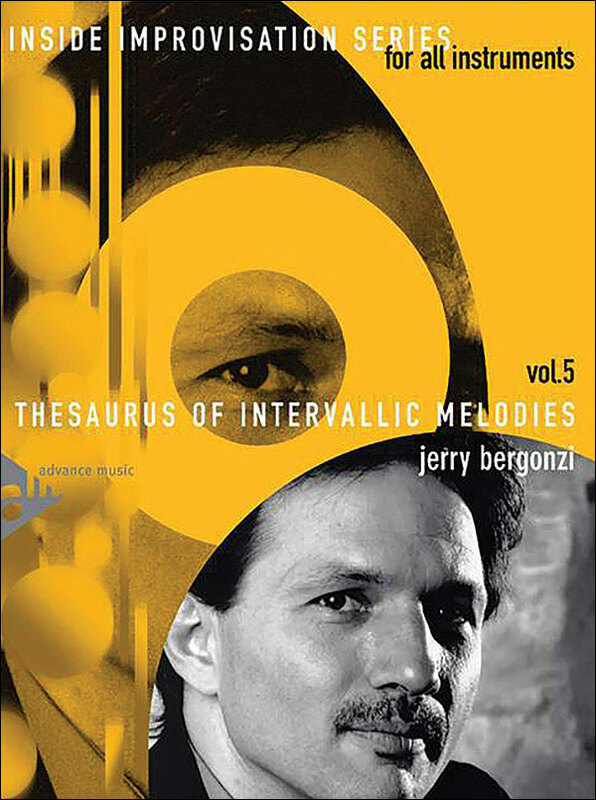 Thesaurus of Intervallic Melodies Book/CD Set - Vol. 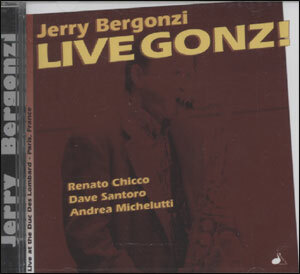 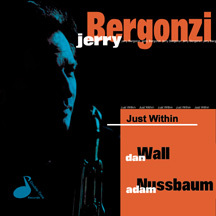 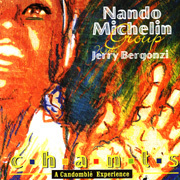 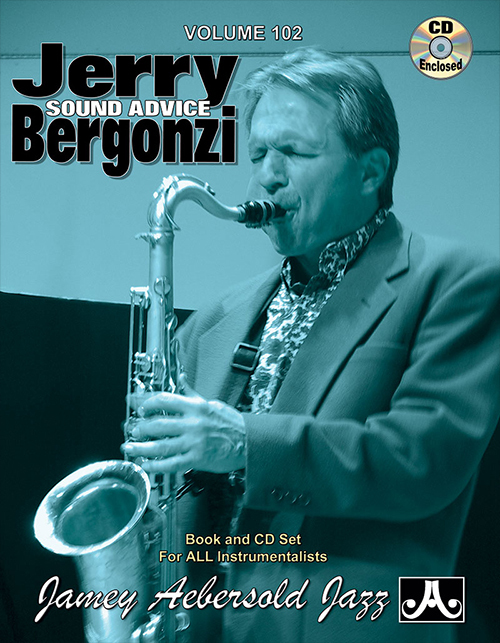 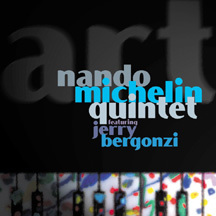 5 of the Inside Improvisation Series by author Jerry Bergonzi. 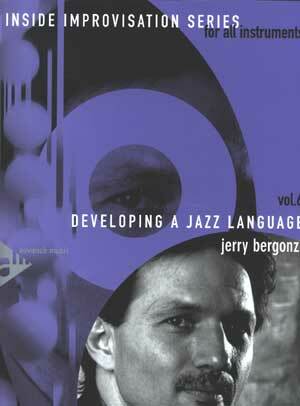 "Practicing out of this book by just reading the melodies has changed and expanded my playing," says Jerry Bergonzi. 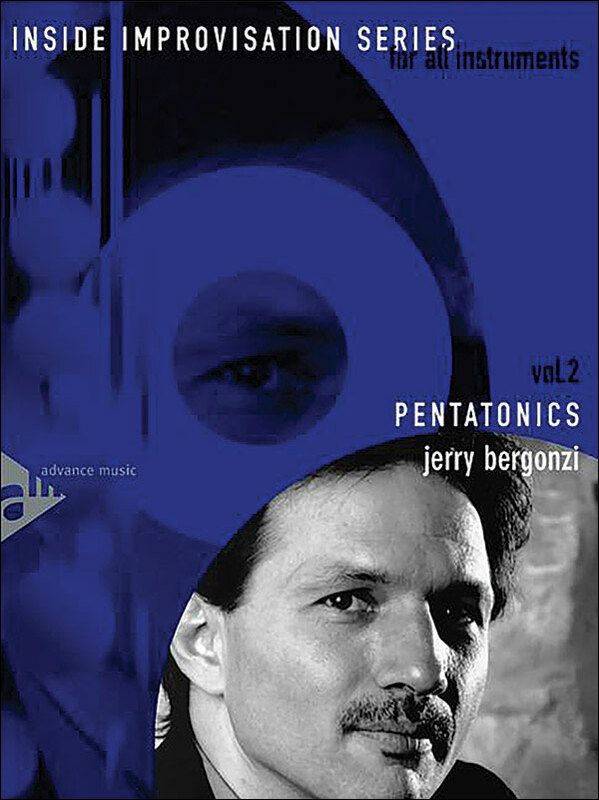 He offers a number of suggested uses and applications for this intervallic system including ear training, composition, improvisation, improving technical facility, intonation, sight reading, breaking finger habits, and pitch retention. This book is accompanied by a play-along CD with 19 tunes as well as 8 vamps featuring Jerry Bergonzi and Allan Chase, saxophones (soprano, alto, tenor, and baritone); Renato Chico, piano; Dave Santoro, bass; and Tom Melito, drums. The intervallic system presented in this book is a means for creating original lines and themes - a modern thesaurus of intervallic melodies. 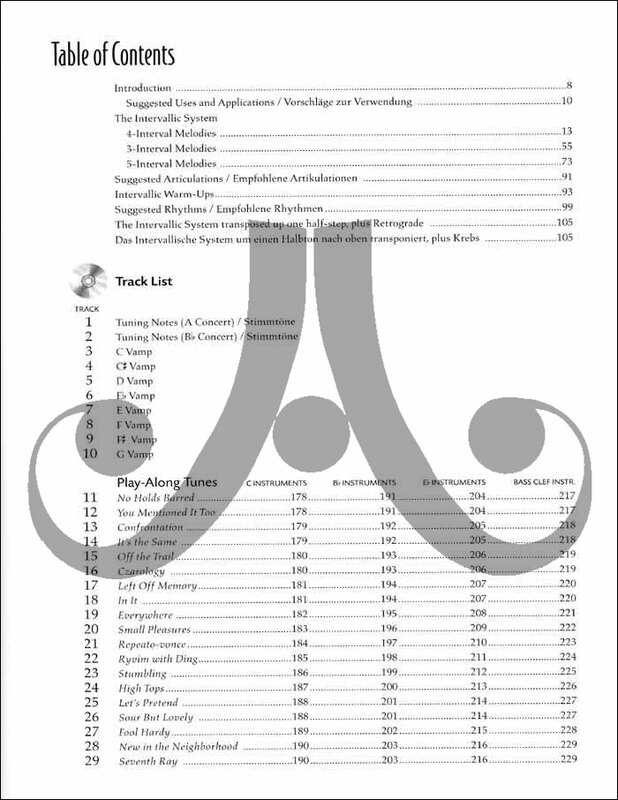 Each page concentrates on three, four, or five specific intervals. 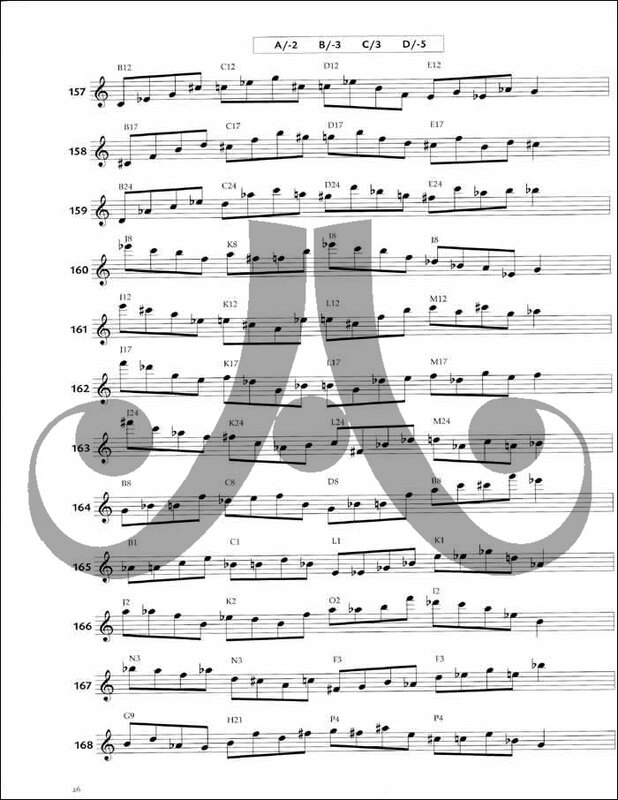 Combining these intervals with all of the possibilities for moving in ascending or descending direction creates an infinite variety of very distinctive melodies. 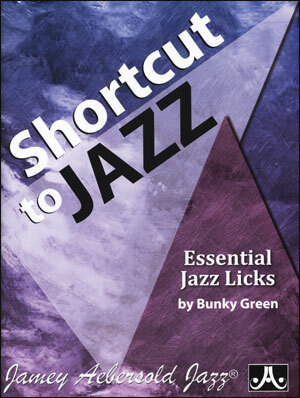 Although these melodies were composed independent of any particular harmony they can sound quite effective when played over chord changes. 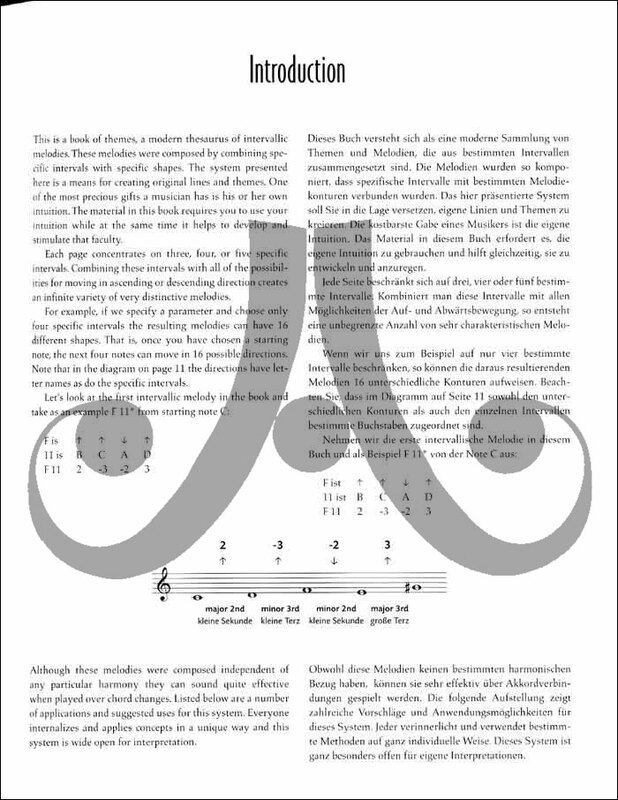 Chord changes and heads are included for C concert, Bflat, Eflat, and bass clef instruments.